Partner Ramina Dehkhoda-Steele will present tomorrow at the American Bar Association’s 21st Annual Spring Conference. The conference began yesterday and runs until the 13th, at the Hyatt Regency in Minneapolis, Minnesota. The presentation “Commercial Demand for Diversity in ADR – The Legal Economy as a Catalyst for Social Change” will discuss the American Bar Association’s new adoption of Resolution 105, a diversity initiative aimed at increasing diversity in Dispute Resolution, one of the least diverse segments of legal services. Presenters will include Wong Fleming Partner Ramina Dehkhoda-Steele, NAMWOLF CEO Joel Stern and RealNetworks Corporate Attorney Govinda Jayasinghe. Complete details for the presentation may be found in ABA’s Spring Conference Program. 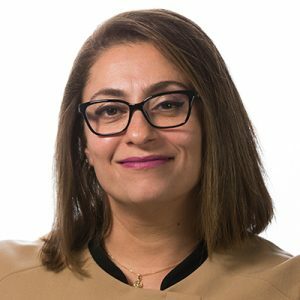 Ramina Dehkhoda-Steele is the Partner-in-Charge of the Firm’s Redmond, Washington office of Wong Fleming. Ms. Dehkhoda-Steele is Co-Chair of the Commercial Litigation practice group. She is an avid litigator and has extensive experience in various areas of the law. In addition to litigation Ms. Dehkhoda-Steele focuses on complex technology transactions, complex real estate transactions. Ms. Dehkhoda-Steele has represented many Fortune 500 companies in employment and racial discrimination matters. Ms. Dehkhoda-Steele has been representing large companies with respect to general liability, premises liability, and insurance defense for the past 15 years.